As kids, cleaning was a chore no one liked. As you’ve gotten older, those feelings haven’t changed, but now it’s your responsibility to clean. Pure Intense Cleaning Service, LLC in Atlanta, GA, offers an abundance of options for homeowners and business owners looking to have their spaces are properly cleaned. From polishing hardwood floors and washing dishes to pressure washing concrete, when you need tried-and-true methods for residential and commercial cleaning, this is the cleaning company you want to hire. Cleaners Ben Woodward and Vertrenia Perkins offer nearly two decades of combined commercial and house cleaning experience, using various tools to get the job done as effectively and efficiently as possible. 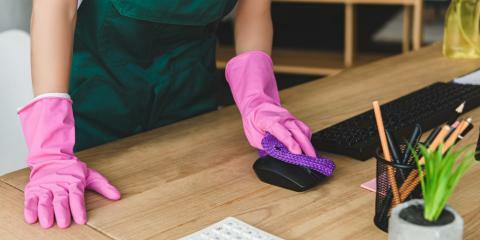 They aren’t just good at what they do; they enjoy it, taking away the obligation and guilt their customers could feel from not being as enthusiastic about cleaning as they are. No matter what type of cleaning you need, these are the professionals you want handling the job. Whether you’re looking for consistent daily cleanings for your office space or you want weekly cleanings for your home, this company will be the difference in your home or company’s cleanliness. They offer many different package types to choose from depending on how intense or extensive you want your cleaning to be. They have no problems cleaning windows, baseboards, cabinets, ovens, dishwashers, commercial appliances, and bathtubs. They can also provide cleaning for your vehicle, thanks to their powerful pressure washer. For unmatched commercial and residential cleaning services, contact Pure Intense Cleaning Service in the heart of the Peach State. Call (404) 287-7958 to request additional information on services and pricing.